The new idea of future-oriented industry. A short guide dedicated to the Smart Factory, which is rising also in Italy . The word Industry 4.0 (or Smart Factory) means the process that, according to the analysts, will bring to have automated industrial productions, and its main feature will be the interconnection, thanks to advanced technological solutions. The changing will regard not only the production system, but there will be different kind of innovations: from the production process to the organizational structure of the company, from the product to the business model. This term firstly was used in 2011 at Hanover Fair and after 2 years a first report with the rules for its implementation was drawn up. Since that moment, the interest for this theme worldwide has grown more and more and nowadays, we are entering that phase called “Delivery à Execution” or rather, it is the moment to start up the mechanisms that practically will bring the Industry 4.0 in manufacturer productions. We talk about fourth industrial revolution because before Industry 4.0, there have been 3 big changes in the production process: in 1784, thanks to introduction of steam engine and the resulting production mechanization,the first industrial revolution began; after a century, the invention of the assembly line, the electricity and the internal combustion engine led to second industrial revolution; in 1970, the introduction of the informatics started the third industrial revolution. There is not yet a precise date, or an event that has established the begin of this fourth industrial revolution, but it is clear that the Hanover fair is a good start point. Many terms are associated to the word Industry 4.0, as Smart Factory, Smart Manufacturing, future-oriented Industry, Digital Industry; all these words perfectly underline the features of this innovation process. 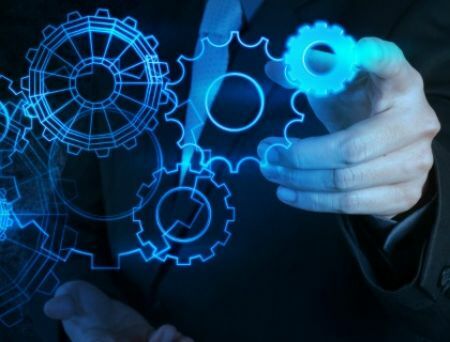 The fourth industrial revolution is characterized by the connection between physical and digital systems, the use of intelligent machines (that are interconnected or connected to Internet), the analysis of structured data (big data and open data), the introduction of new design systems and also rapid prototyping with very low cost. So, we can say that paradigm of Industry 4.0 is composed by a set of enabling technologies linked together that has the purpose to improve, increase and optimize all the process phases that a company have to manage. Among the enabling technologies, we can find: interconnected robots, 3D printers, augmented reality, multi-directional communication, big data and systems for complex analysis, cloud, cypher-security and, obviously, also for RFID and BLE technology. 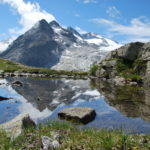 The first guide line regards the interconnection of the intelligent machines, the IoT, the centralization of the information of the single produced component, the connectivity, the big data and the open data. The second one is the analytic: the collection of the data that have been created from the first point in order to obtain a value. The third one is the interaction between man and machine, the roots and the advanced“touch” interfaces and the augmented reality. The additive manufacturing, 3D printing and new technologies to storage and use energy in a more rational and ecological way. Optimizing costs and performances is the purpose of the fourth guideline. The advanced robotics is certainly the best technology for the development of Industry 4.0. The evolution of autonomous or semi-autonomous machines, able to communicate with humans and able to learn new informations, will allow to improve the productivity,increase the product quality and worker security. Examples of application in which advanced robotics will be involved are the following: warehouse and logistic systems, mechanic industry and industrial maintenance. The augmented reality is a technology that allows to add information in digital way to the natural vision that a people perceives increasing the learning ability or improving the visual experience. Today, some companies use the augmented reality in order to simulate dangerous situation in order to train in a better way the staff in case of real emergency, or in order to simulate the dangerous or complex machinery maintenance; or again, to allow an easy learning about the mounting of complex components. Another area that doesn’t regard the Industry 4.0, but where the augmented reality find a large use is the videogame sector: the player will live a game experience never tried before. The production of three dimensional objects, starting from a digital model, will allow to realize fastly complex prototypes with a low cost, making the customizations easier, avoiding the wastes. The 3D printing will reduce implementation time and overall it will guarantee the possibility to make changes in progress. One of the main features of Industry 4.0 will be the big quantity of data that will be available to be analyzed. The management of this data inside the company can have high costs; for this reason, the factories more and more rely on data remoting, thanks to the increasingly fast and slow connections. Platforms composed by preloaded modules are borning and that will allow an optimized management of the data and an intelligent analysis. The Data Analytics activity can be considered strategic in Industry 4.0 development, because it will allow to to optimize all the decision making processes thanks to the several information, available thanks interconnected nd intelligent machines. Knowledge systems will be another challenge that Smart Factories must face. The Internet of Things is composed by an ecosystem that includes all the technologies (also RFID and BLE technology) able to detect, identify and transmit, through Internet, information about its status or about the status of an object that is in the external environment. Device (controller), transponders and sensors are the elements on which the IoT is based on. 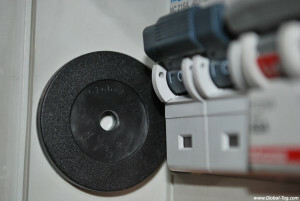 The applicability of this set of interconnected items can have many different applications: in the industrial sector, for example, it is useful to monitor the production, to check remotely the components, to improve workers security, to increase energy efficiency, to guarantee remote assistance. Thanks to IoT will be possible to “communicate” with the objects and/or make communicate objects between themselves, obtaining real time information, even being away from the mentioned objects, modifying working status. To end, here is a significant finding: today, at the end of 2016,it is estimated that there are about 14 billions of interconnected objects; the analysts suppose that in 2020 there will be between 50 and 100 billions objects. Even if, in the last years, the RFID technology and the younger BLE (Bluetooth Low Energy) technology have seen a large implementation in many big factories , we can certainly say that these technologies are involved also, and overall, in the Industry 4.0 world. Inasmuch as they are consolidated technologies, they quickly can take part to the renewal process and, besides, they can be the spark that actives this process. The interconnection of the systems, the intelligent management and collection of the data, the chance to obtain information about components produced outside in a smart way and the Internet of Things are some of the examples where RFID technology is involved . Production, logistics, warehouse, and maintenance and worker security management, “made in” and quality certification administration are some of applications that improve their performances thanks RFID technology and that, thanks to big data development, can be transversally used, creating more and more added value. On the basis of the above mentioned premises, and in order to play an active role in this Industry world changing, Global Tag has taken part to the “Cluster Fabbrica Intelligente” and “AFIL” (Associazione Fabbriche Intelligenti Lombardia). That allow us to stay current on the changes and to be proactive on the technology choices and about Smart Factory projects. In this context we have developed, and we keep doing it, dedicated tag transponder for the industrial world, also introducing the fast prototyping service in order to allow the development of customized RFID tags that meet the several needs deriving from the Smart Factory world. 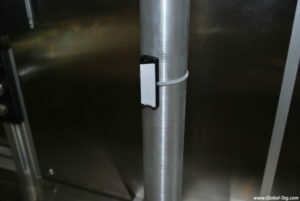 RFID on-metal tag, it is sturdy and shockproof. The best solution for industrial environments, T-Rexy is IP68 and it has a very stong fixing, thanks to the 3M adhesive and the rivet holes. According to customer needs about stenght, it is possible to produce it in ABS material or in Nylon material. Available also the dual frequency option. 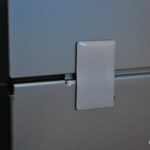 Hard ABS RFID tag, it can be applied to metal surfaces, both with 3M adhesive and rivet, Tokky 34 is a great solution for outodoor or hard environments. It has an option for the most extreme conditions: the Epoxy, that is injected in the tag in order to improve the resistance and isolates the chip from the entrance of external agents. RFID tag, available in HF, NFC and UHF frequency. 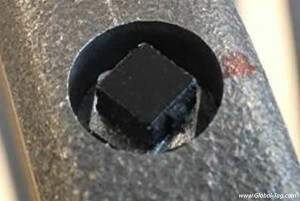 It is characterized by a long and narrow shape (95x25x13 mm). 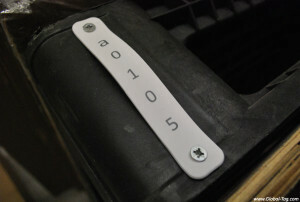 Easy to apply to any surface, thanks to 3M adhesive and the rivet holes, placed at the side ends. Ideal for industrial environments, due to its hardness and IP68 class protection. Available with customized printing options. 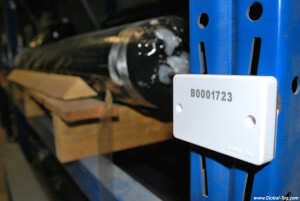 RFID UHF on-metal label, it represents a great solution for tracking of bins and metal containers. 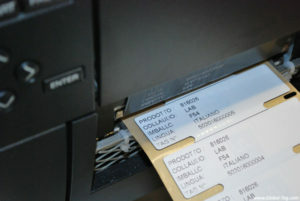 An added value is the possibility to print information on the PP surface of the label. The carried out test underline the incredible resistance of the label on the surface, even if subjected to any kind of weather condition . RFID UHF on-metal tag that has an high ductility, especially thanks to the sevral application ways. In fact, it can be applied choosing the magnet, utilizing the stong 3M adhesive or making use of the side holes to enter the iron wire or the cable ties. Perfect solution for an intelligent logistic management of the goods and for IT Asset Management applications. 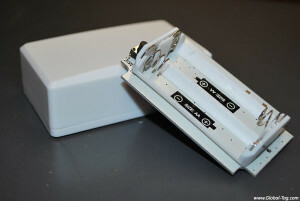 RFID in-metal and small-sized tag, it is available in HF and UHF frequency. 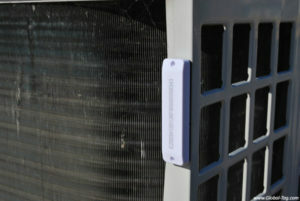 This product is the smallest tag for metal available on the market (size 4x4x3 mm). Not only it can be applied to metal surface, but also it can be integrated in metal objects. The new and updated version of Tiny can reach high temperature up to 250°C. RFID UHF silicone tag, developped to mix flexibility, ductility and great reading distance performances. Suitable for irregular surfaces, it can be applied using the holes that are at the side ends of the tag. Designed for the tracking of threes and people (for ultra-trail races in the high mountains), this tag become a valuable resource if the need is to detect / move cumbersome goods. It can be customized with several printing options. Hard ABS Beacon that works with BLE (Bluetooth Low Energy), another enabling technology of the Industry 4.0, that persues the aim of improving the artificial intelligence and the production processes automation of the company. It has a rechargeable battery and can reach reading distance up to 70 meters. It is the best solution for long range traceability in wide spaces, with the possibility to apply it also in outdoor environments.